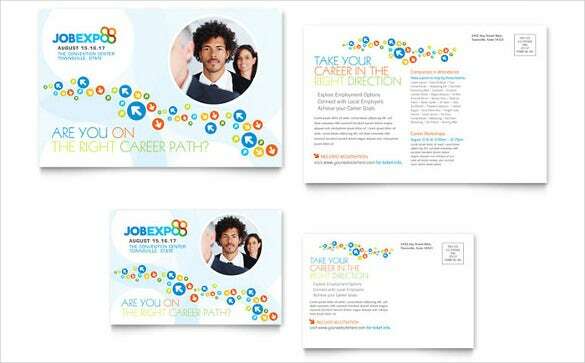 Event post cards are nothing but a collection of the date and event which are going to happen as a part of any engagement – be it a formal engagement in the form of a conference or an annual meet or an informal meet such as a birthday or a wedding etc. 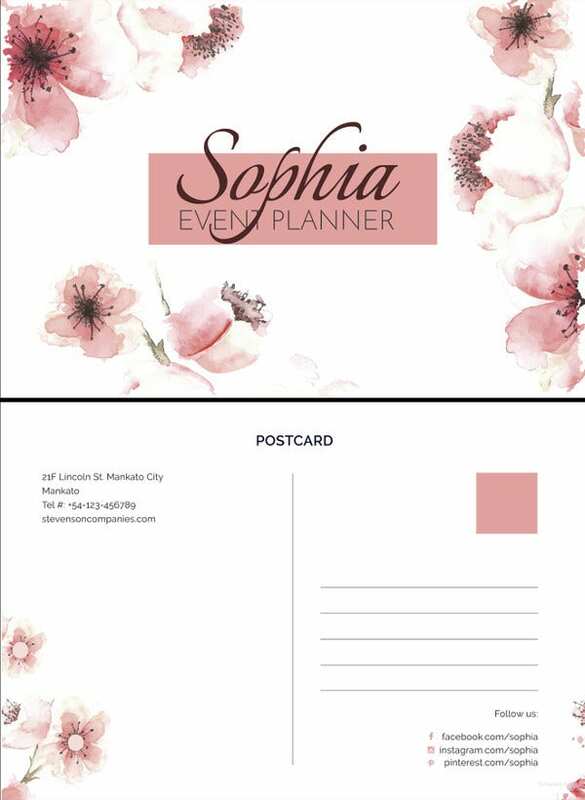 You can also see Photo Postcard Templates. 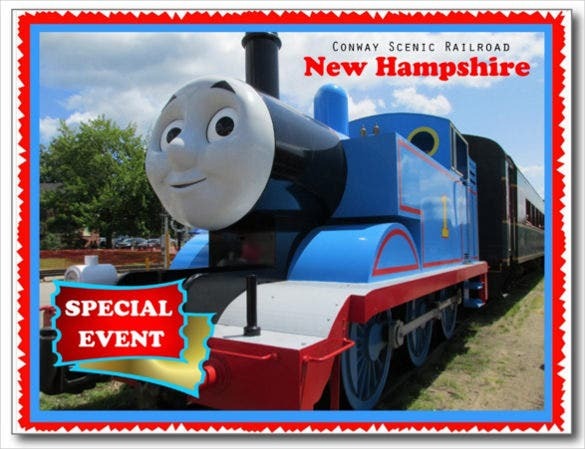 These post card templates are either provided to the recipients as a complementary item along with the invitation to that particular program, or this post card are provided on arrival of the dignitaries. 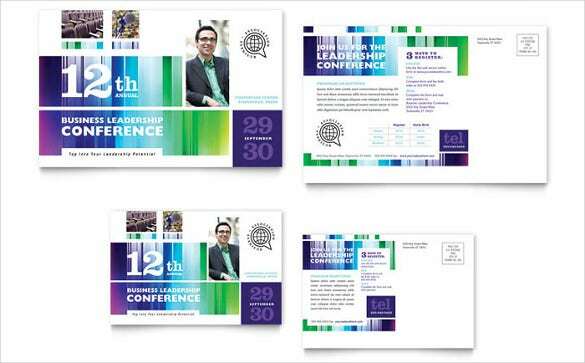 These are mostly designed in the form of Microsoft Word template as these simply highlight the date, time and the events that are to take place. 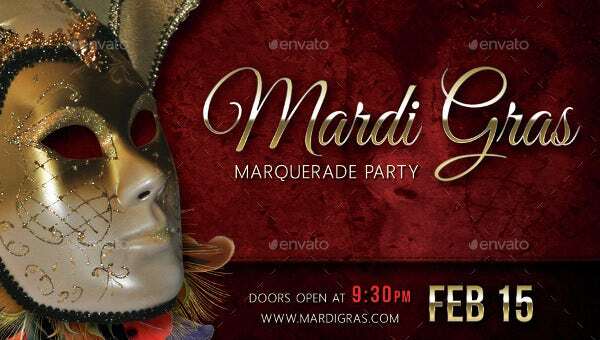 Mardi Gras is an extreme popular event in the United States. It is the time for carnivals, parties and frolicking with friends. 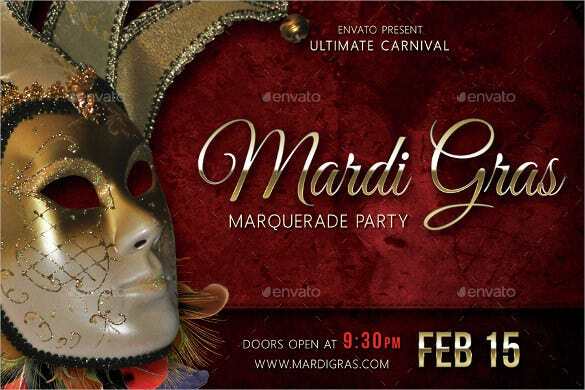 If you’re organizing a carnival on Mardi Gras, you can send out an invite to your friends with the help of this event postcard template. In suburbs and towns that are self dependent, harvest time is quite a big affair. Every citizen gets to come together to celebrate and feast. 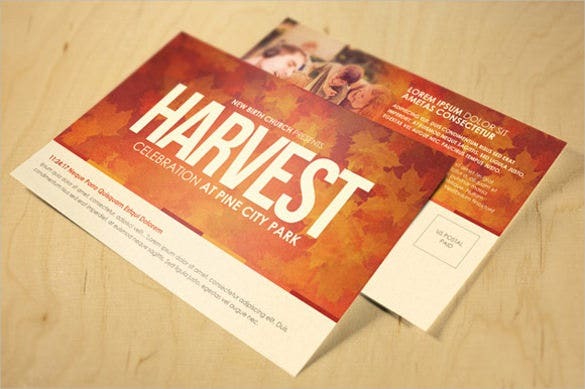 You could invite your neighbors and friends to a harvest celebration with the help of this autumn themed postcard. 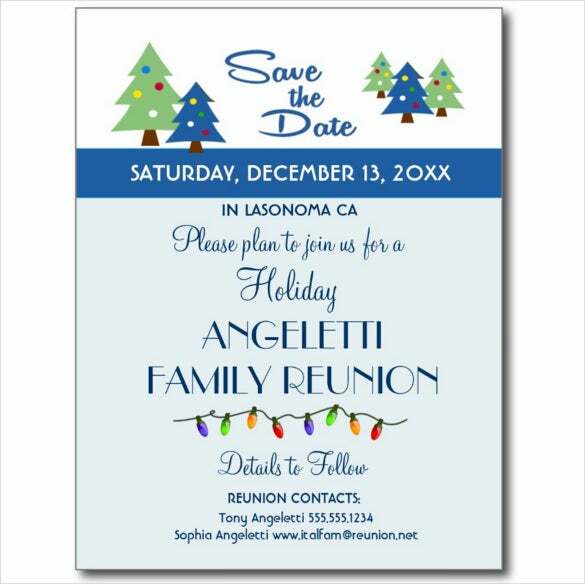 Who said that wedding save the date postcards have to be the ones that you always see? 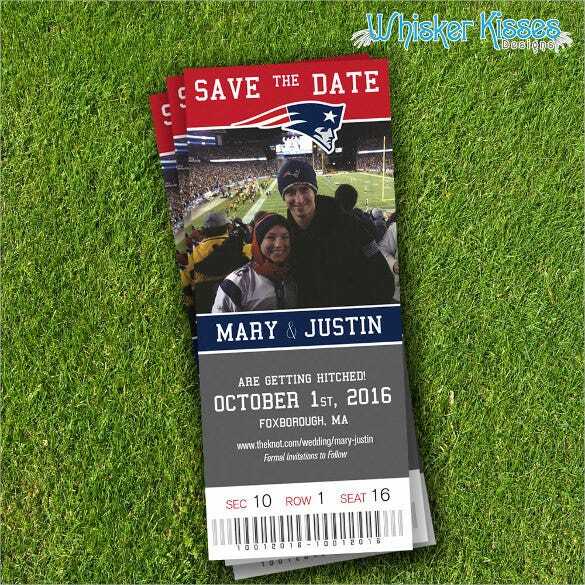 You could try something different and unconventional with this save the date template. If you and your fiancé both love sports, then this is the template for you. Who doesn’t love hip hop? And a hip hop themed party would be absolutely amazing. If you’re organizing one, then this is the invite you should go for. It contains just the right amount of bling to catch the eyes of your guests. If you own a retail store, then holiday sales would be a great way to attract customers. But how are your customers supposed to find out of you’re having a sale? 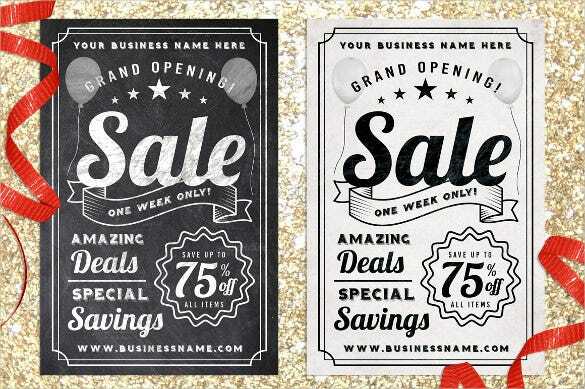 You could do some advertising with the help of this chalkboard style sale postcard. It would work wonders for your business. 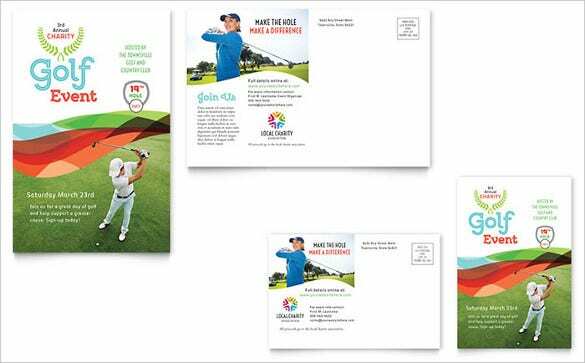 A lot of golf events are organized for the sake of charity. 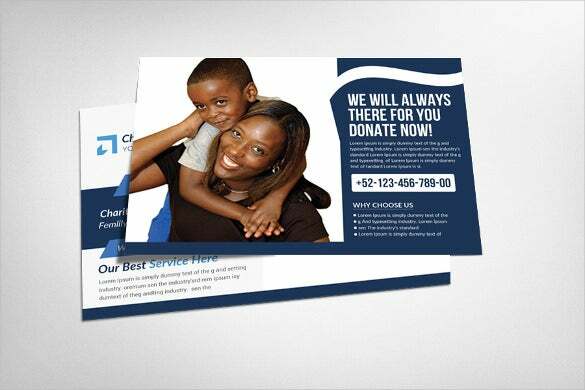 If you’re in charge of organizing one, you could use this attractive and simple template for your charity event postcard invitation. You can include the charity’s logo on the top, along with necessary details. Seldom will you come across people who don’t love singing concerts. It is an opportunity for music lovers to come together. 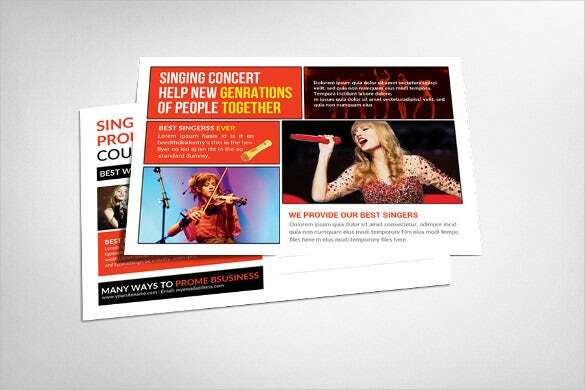 You can share details about a concert you’re taking part in by using this attractive postcard template. 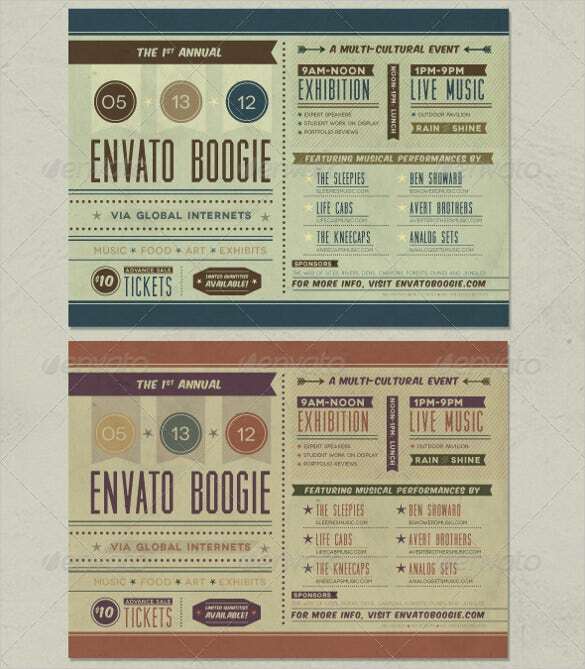 The best part about this event postcard template is that anyone can use it and for any event. 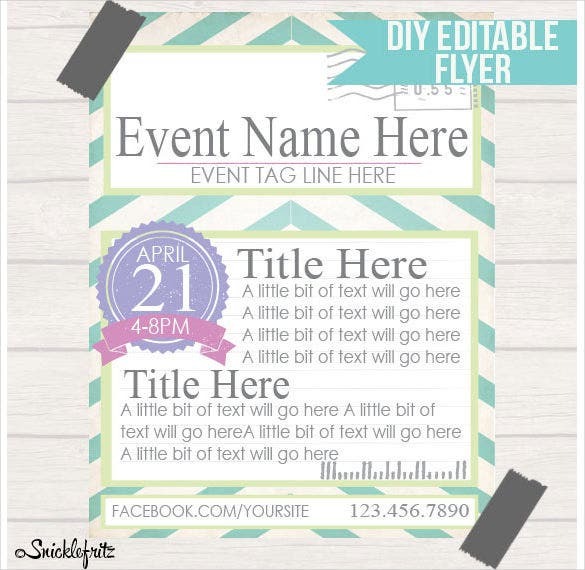 All you have to do is download the template, add your event name and slogan, title to accompany it and supporting text under it. Winter festivals are quite a big deal, and can be great fun. 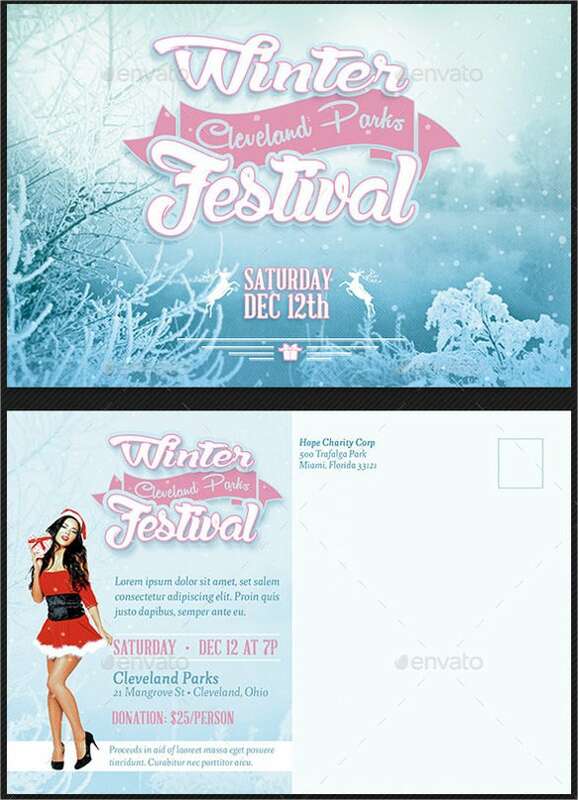 If you’re organizing a winter carnival, you might want to take a look at this gorgeous template to make your postcard invitation. You can customize it by adding necessary details. 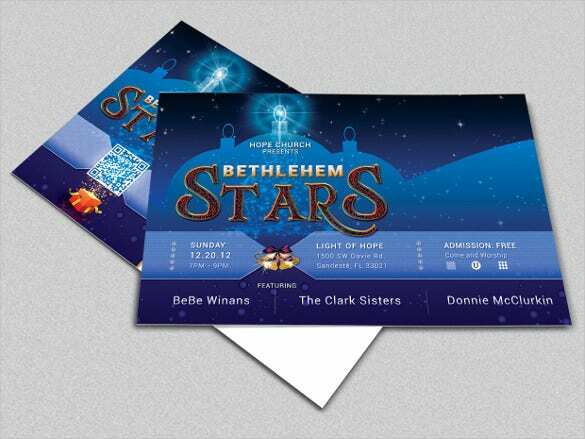 A Christmas concert can be a great event, but you have to be able to organize it efficiently. 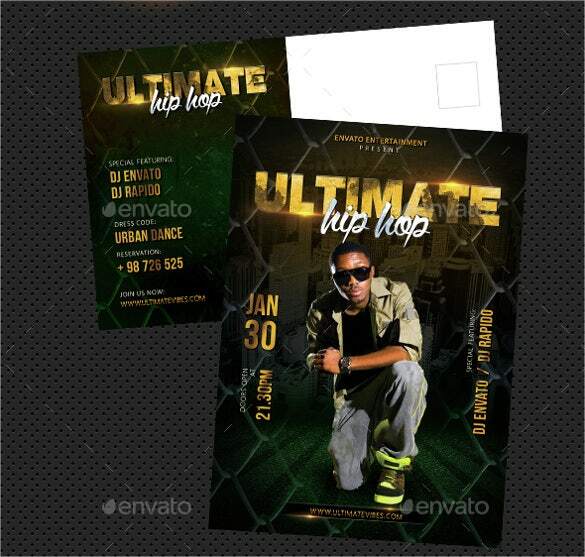 When it comes to invitations, you can go for this template which can be customized to form your own postcard. Silver wedding anniversaries call for a grand party and celebration. You can invite your friends and family with this wonderful black and gold save the date postcard template to come celebrate this special day with you. Marathons are organized frequently for the sake of charity. If you’ve got a marathon coming up, you could spread details about the good cause through this template. 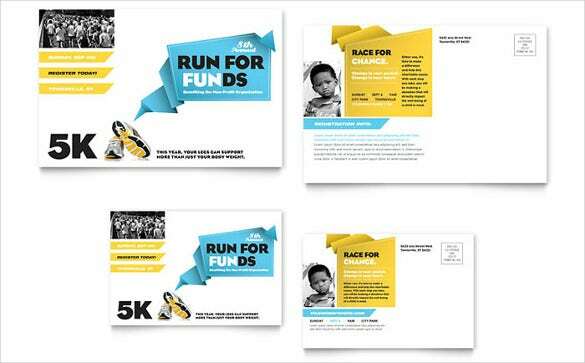 Download this template and add essential details about the charity and the run. Are you planning a harvest banquet for your friends and family? 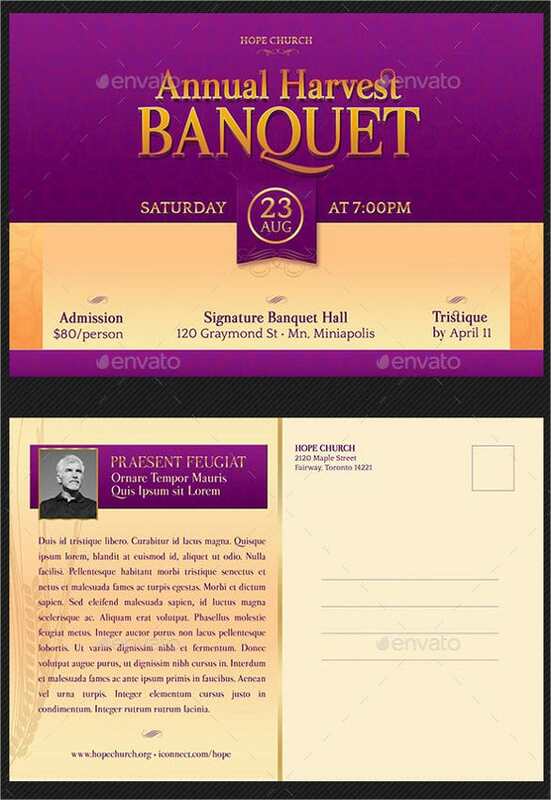 Then you could add a different touch to your banquet invitation with the help of this attractive postcard template. Have you already set a date for the wedding? 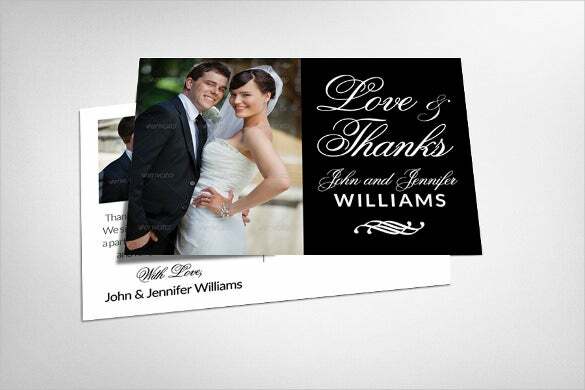 Then you could send out the wedding invites to your friends and family through this fabulous postcard invitation. It allows you to include an image of the happy couple as well.